The Winter’s Tale is a fantasy, as its title makes clear. Michael Longhurst’s production sheds this garb of mysticism to reveal the human artifice and realism central to this fantasy. The Sam Wanamaker Playhouse, indoors at Shakespeare’s Globe, does not need elaborate sets and props; it is an intimate setting that appears frozen in time. 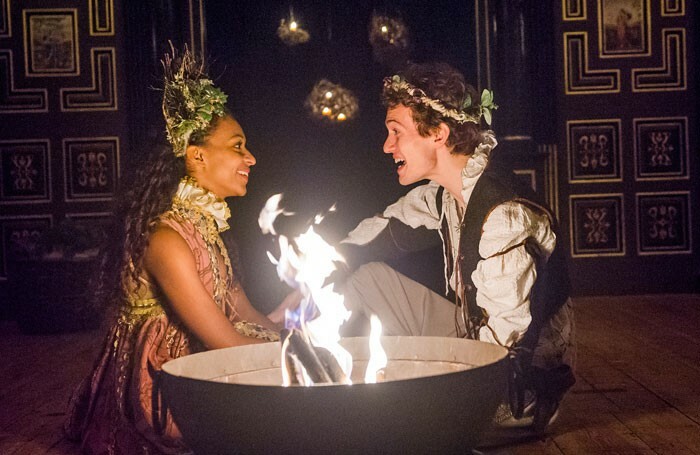 Candles light the stage and are used to distinguish between Leontes’ court, which as his jealousy progresses is shrouded in darkness, and the brightly lit Bohemia. In the famous bear scene (Shakespeare’s coup de theatre), with only Antigonus’ torch lighting the stage, we are unable to see the bear clearly and are then plunged into to total darkness, which is accompanied by screams and the harsh crashes of a cymbal. Sound effects are skilfully used earlier on, where shrieking strains of violins cut through the theatre, beautifully accompanying and seemingly catalysing Leontes’ (John Light) jealous musings. Arguably, the acting is enhanced by the simplicity of the set. It is nuanced and human, in contrast with the stiffly formal Shakespeare we associate with productions set in the original date. John Light is chillingly calm and understated. His clinical analysis of his jealousy makes the first act a psychological diorama and plays with the idea that Leontes suffers from an inferiority complex. Pauilna (Niamph Cusack) is classically scheming but lacks some subtlety, without the warmth required to really draw in her audience. 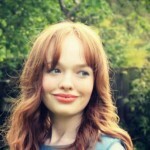 Hermione (Rachel Sterling) is witty and powerful, especially during her inquisition, where she convincingly conveys the toll of her imprisonment. Longhurst introduces strikingly original ideas: Perdita, who is concealed in the balcony, creates the sound effects of herself as a baby, which is a chilling dramatic device representing how Leontes almost extinguishes her future. The director leaves us with the sweet taste of comedy, but whilst this production is an immersive experience, it does not stay in the mind. 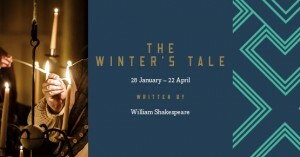 The Winters Tale is on at the Sam Wanamaker Playhouse at Shakespeare’s Globe from 28th January until 22nd April 2016, for further information or to book visit here.